I usually begin my day with two eggs, a cup of tea, and a quick prayer that my phone doesn’t ring during breakfast. Thankfully most of the time it doesn’t, making this my favourite part of the day. My working hours aren’t fixed but as a general rule of thumb, my day starts when most people have finished theirs. During weekends my schedule varies, depending on whether treatments are being run on site. Anyhow, I’m always on standby 24 hours a day, 7 days a week. The biggest challenge for me comes when I have to perform urgent repairs on the Tomo machine. This requires me to perform well under pressure, as I have to properly manage customers’ expectations and make a fast and accurate diagnosis of the issue at the same time. Over time, I have honed my problem-solving skills and am now able to think quickly on my feet. On a side note, I have also become braver as another challenge that I had to overcome at the start was my fear of working alone in the hospital at night! I have been with Transmedic for almost a year now and I like what I’m doing. I come from an aviation background; back then I was handling systems associated with electronics. Having worked on the Tomo machine for 6 months, I find it more interesting to work on a relatively complex machine as it gives you the opportunity to gain experience in mechanical, electrical and computing systems, on top of electronics. As for the firm, the management is flexible and encourages you to try out new concepts and adopt new ideas. It is an environment where you can learn and grow with the company, and there is no hindrance to unleashing your creativity. In March 2016 we went to Stamford, Connecticut, USA for software and application training on the Immucor transplant products. Immucor is a US based company which specializes in transfusion- and transplant-related diagnostic products, with branches in Europe and South America and a vast distributor network in Asia. The focus of our training was the LIFECODES group of products. We spent a lot of time in the lab, running the actual assays and learning the analyser software. The other part of our training included performing results analysis using the LIFECODES proprietary software. Our training was conducted by members of different departments within Immucor, which gave us in-depth view of the products from various angles. The Tech Support team guided us through the software and hands-on lab sessions. The Logistics department educated us on the complexities of the international shipping process. The Business Development team gave us an overview of the transplant diagnostics market, our competitive advantages and our growth strategies. We are very grateful to Immucor for their support and hospitality. It was an awesome learning experience and we are ready to serve our customers better at home. Ultimately, Transmedic is continuously looking for ways to expand the knowledge and skills of its employees so we can provide not only the best medical products to the customers, but also the best possible support. 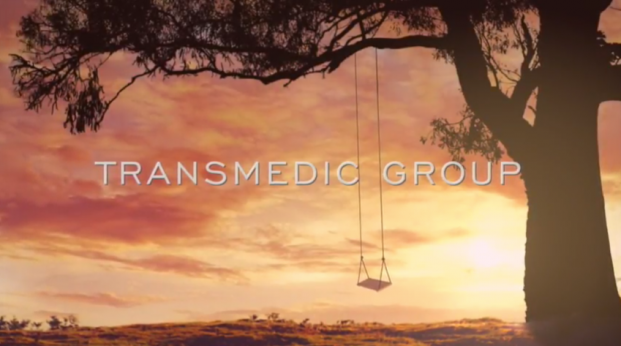 “I decided to join Transmedic Group firstly because it’s an SME. The key advantage of an SME for me, compared to an MNC, lies in the job flexibility. My ideal role is one that can provide me with as much broad-based exposure and and learning opportunities as possible, so as to provide me with a solid foundation for my career. With fixed job scopes and rigid hierarchies, joining an MNC was out of the question. I started out in this company acquiring the fundamental skills in data analysis and administrative work – which although seemingly mundane, are necessary to understand a business. This gave me the right amount of time to observe, understand and adapt to the company culture. Since then I have been placed directly in the field to work with the sales team, to learn what is needed from me and how I can add value. I have been given opportunities to travel widely to cities such as Berlin, and am now based out of Indonesia, a massive country filled with opportunities, to advance my career. While having to adapt to a completely foreign country is at times trying, no growth ever comes without discomfort. From early on in Transmedic we are given decision-making rights. These empower us to innovate and take risks, in line with our beliefs. But it also means that we have to take on much responsibility and ownership, keeping us on our toes and instilling in us a healthy sense of paranoia. It makes us question ourselves multiple times before we make any move; and trains us to anticipate as many scenarios as possible, so that we become effective at evaluating opportunities, and managing risks. Over the past year, I have seen that the management at Transmedic is highly flexible. Our leaders accept that failure is part and parcel of the growth of its organization and people. They emphasise instead on the cruciality of what we take away from our mistakes, as this contributes to developing our values and honing our business instincts.